Meat free food brand Not Dogs was created out of frustration of the lack of mouth-watering vegetarian food and trustworthy meaty meals particularly out and about at events. In just over a year founders Katie and Jane have taken Not Dogs on the road to thousands of happy festival-goers all across the UK. The primary focus for Not Dogs initially was vegetarians but they quickly realised that it was not only veggies that loved their 'meaty dogs without the meat' but meat-eaters too. Not Dogs have seen a massive rise in meat-reducers, and the vegetarian hotdogs fills the gap perfectly! 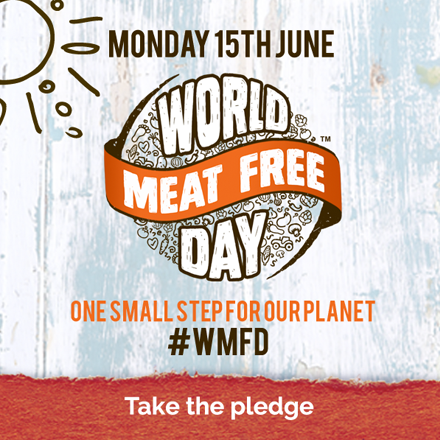 People are more conscious of the impact too much processed meat has on health and also the effect of the environment; two things Not Dogs care greatly about, which is why being a partner of World Meat Free Day is so important to them. Linking with World Meat Free Day, the rise of the UK's passion for sustainability is something Not Dogs wants to champion. Reduced meat consumption is the biggest change people can make towards reducing their carbon footprint. A vegetarian diet causes half the climate-warming emissions as a meat-eating diet does. Although, as a brand, Not Dogs never want to be seen as purely for vegetarians, Not Dogs believe the trend for meat-reduction is here to stay; the consumption of meat fell by 13% between 2007 and 2013 and the meat-free market is set to increase by 10.3% over the next three years with 69% of UK households being open to meat-free meals. It's the increase in meat-reducers that Not Dogs find most exciting and the public interest around the environment, animal welfare and health.